Note: These terms may vary for award travel. Please visit our Award Travel Terms & Conditions. Passengers and their baggage must be checked in at least 45 minutes prior to departure for domestic flights and 60 minutes prior to departure for international flights. Government-issued photo identification is required for all passengers. Passengers traveling across any international boundary are responsible for obtaining all necessary travel documents and for complying with all government immigration and custom requirements. Passengers may be denied boarding if travel documents are not in order. Passengers must be at the gate 20 minutes prior to departure for boarding or reservations are subject to cancellation. When a seat cannot be provided due to an inadequate number of seats for the number of passengers holding confirmed reservations (overbooking), no one will be denied a seat until airport personnel first ask for volunteers willing to give up their reservation in exchange for a payment of the airline’s choosing. If there are not enough volunteers, passengers will be denied boarding in accordance with a particular boarding priority. With few exceptions, including failure to comply with the carrier’s check-in deadline, which is available upon request from the air carrier, persons denied boarding involuntarily are entitled to compensation governed by Federal Regulation 14 CFR 250.5. The complete rules for the payment of compensation and boarding priorities are available at all airport ticket counters and boarding locations. Effective January 7, 2015, Frontier only accepts credit or debit cards as a form of payment for tickets and fees. Cash, personal checks, cashier’s checks, traveler’s checks and money orders are not accepted. Don't forget to review TSA's liquid rules before traveling with a bag! Federal regulations require firearms in checked baggage be declared when baggage is presented for check-in. Firearms must be unloaded and packed in a locked, hard-sided case. Ammunition must be securely packaged in the manufacturer’s original container or equivalent and may not exceed 11 pounds (5kg) per - passenger. Firearms are not accepted on certain international flights. An excess baggage charge will be assessed for each piece of checked baggage over any allowance based on the fare option purchased for Frontier flights. Excess baggage is subject to oversize and overweight charges for each maximum exceeded per size and weight limits discussed above. Fees may apply to special items such as antlers, bikes, etc. (refer to Sporting Equipment & Special items on our Baggage page). Except for tickets purchased for travel within 7 days (168 hours), all tickets may be cancelled for a full refund up to 24 hours after the time of purchase. You can request a refund on your Manage My Booking page through logging into My Trip or through Frontier Reservations at 801-401-9000. If it has been more than 24 hours since you purchased your ticket, you may cancel your ticket at the My Flights section of your Manage My Booking or through Frontier Reservations at 801-401-9000. 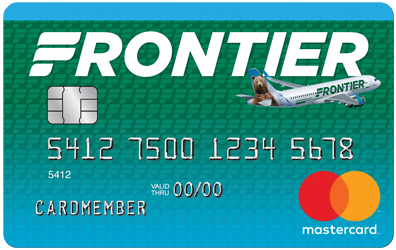 If you purchased the WORKS℠, you may visit flyfrontier.com and either apply the value of your purchase to a new ticket without any penalty, subject to any difference in fare and/or options prices, or retain the value of your purchase for use within one year of the transaction date. You may complete the Online Refund Form or call Frontier Reservations on 801-401-9000 to have the full value returned to your purchasing card. Otherwise, if you did not purchase the WORKS, each passenger’s booking will retain its value for 90 days in the form of a travel credit. The value of that travel credit may be applied toward the purchase of future travel. Additionally, please view our pricing options regarding changing or cancelling your flight here. Tickets must be cancelled prior to the departure of a flight in order to retain their value. Failure to show for any flight or cancel a ticket prior to any ticketed flight departure will forfeit the remaining value of the ticket. If you would like to change your itinerary prior to the day of travel (date changes or city changes), you may do so on your Manage My Booking page by logging into My Trips. If you purchased the WORKS℠, you apply the value of your purchase to your new ticket without any penalty, subject to any difference in fare and/or options prices. Additionally, please view our pricing options regarding changing or cancelling your flight here. For changes to tickets on the day of travel, Frontier offers two options - standby travel and same day confirmed alternate flight changes. If you wish to change to an earlier or later flight on your day of travel, we can confirm a seat for you for $99, as long as there are seats available. You may confirm a seat on another flight at the airport ticket counter or by calling Frontier Reservations at 801-401-9000. The non-refundable fee for same day confirmed alternate flight changes varies based on the fare option purchased as follows: same day confirmed alternate flight changes and standby travel on eligible tickets apply to alternate flights between your ticketed origin and destination cities. However, the groups of airports below will be considered the same city for same day confirmed and standby purposes. This means that if you are booked to fly to/from an airport in each group, you may request a same day confirmed alternate flight change or standby travel (if eligible) to fly to/from another airport in the group if there is a seat available by paying the applicable fee described above. If you need to change the name on your ticket prior to travel, but will keep the same itinerary, you may do so by paying any difference between the fare already paid and the current fare selling for the same itinerary, as well as a non-refundable name change fee of $75. Please note that if you must make an itinerary change (date changes or city changes) in addition to the name change, both the name change fee and the itinerary change fee described above will apply. 1. For travel wholly between U.S. points, liability shall never exceed $3,500 per ticketed passenger, except for mobility aids and devices. 2. For international travel where the Warsaw Convention applies, the liability limit is 17 Special Drawing Rights per pound or actual value, whichever is less. Carry-on baggage is limited to 332 Special Drawing Rights or actual value, whichever is less. Where the Montreal Convention applies, the liability is limited to 1,131 Special Drawing Rights per ticketed passenger. Report any irregularities involving your property such as loss, damage, or delay within 12 hours of arrival at your destination. Frontier is not liable for baggage carried in the passenger compartment of the aircraft. Frontier will not be liable for the following high value items: (i) antiques, art, art supplies, artifacts, bags made from lightweight material not designed for shipping, blueprints, books, business documents, CDs, collectibles, computer equipment (including hardware, software and all accessories), dentures, DVDs, files, food/perishables, fragile articles or other similar valuable items and commercial effects, hand and power tools, heirlooms, irreplaceable items, jewelry, keys, machinery and their parts, manuscripts, medication, medical equipment, money, musical instruments, natural fur products, negotiable papers/instruments, optics, orthodontics, orthotics, paintings/works of art, photographic/video/electronic equipment and accessories, precious metals or stones, publications, samples, securities, silverware, sound reproduction equipment, surgical supports, toys, unsuitably protected recreational and sporting equipment, (ii) articles such as tents, sleeping bags, or other items that are strapped, taped, or tied to other pieces of baggage, which may become separated as a result of normal handling during transportation, (iii) loss of or damage to protruding parts of luggage and other articles of checked baggage, including, but not limited to, wheels, feet, pockets, hanger hooks, pull handles, straps, zippers, locks, and security straps; (iv) damage arising from ordinary wear and tear, such as cuts, scratches, scuffs, stains, dents, punctures, marks, and dirt, (v) damage resulting from over-packing or misuse, and (vi) damage arising from the liquids in baggage. Any article or hazardous material listed in the DOT Hazardous Materials Regulations: 49 CFR 175.10 or IATA Dangerous Goods Regulations and revisions and reissues thereof, will only be accepted subject to advance arrangements and in compliance with DOT Hazardous Materials Regulations: 49 CFR 175.10 or IATA Dangerous Goods Regulations. For restricted articles that may not be carried on the aircraft or packed in checked baggage, refer to: www.tsa.gov for the Permitted and Prohibited Items list.. In accordance with Federal regulations, all flights are non-smoking. Tickets are valid 90 days from date of issue. Tickets purchased with the WORKS℠ are valid one year from the original date of purchase. Please note that fare tickets must be cancelled prior to the departure of a flight in order to retain their value. Failure to show for any flight or cancel a ticket prior to any ticketed flight departure will forfeit the remaining value of the ticket. To use the value of a retained ticket credit towards a new reservation, please call our Reservations Department at 801-401-9000. Please provide your original reservation code or ticket number. We cannot exchange one ticket for multiple tickets. Effective January 1, 1983, this notice became part of the conditions between the airline and the passenger. If there is any inconsistency between the Incorporated Terms described herein and the terms and conditions in the passenger’s ticket, these incorporated terms govern. Air transportation to be provided between points in the U.S. (including its overseas territories and possessions) is subject to the individual terms of the transporting carriers, which are herein incorporated by reference and made part of the Contract of Carriage. Foreign air transportation is governed by applicable tariffs on file with the U.S. and other governments. Individuals sitting in an exit seat must meet certain requirements and have the ability to perform exit seat duties in an emergency as listed below. Please review the safety card in the seatback pocket for additional details. The Spanish version of Frontier’s website is a translation of the original in English for information purposes only. In the case of a discrepancy, the English version of the website is the official version, and the text of the English version will prevail.